The Russian Defense Ministry has released a video of its fleet of strategic bombers conducting their first airstrikes against Islamic State and other terrorist groups in Syria on Tuesday. 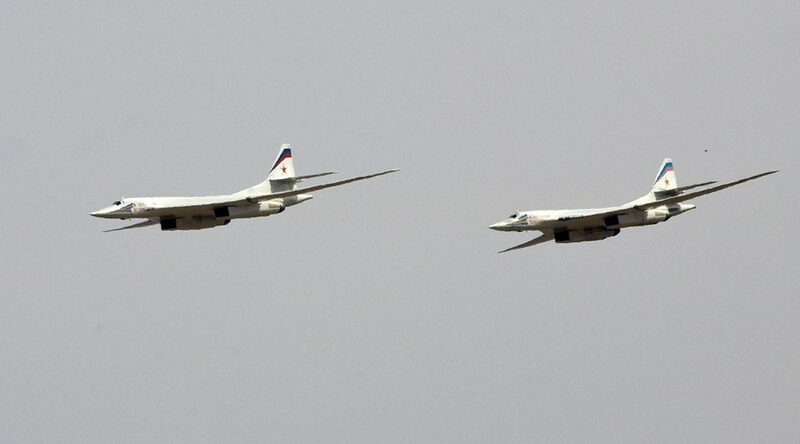 Groups of Tupolev Tu-95 (Bear), Tu-22 (Blinder) and Tu-160 (Blackjack) long-range bombers took off from Russian airfields and returned to base after striking the jihadists in Syria. Defense Minister Sergey Shoigu said that the involvement of its fleet of 25 strategic bombers will allow Moscow to double the number of airstrikes in the country. Russia has been conducting dozens of sorties against Islamic State (formerly ISIS/ISIL) and other terrorist targets in Syria on a daily basis since September 30 after an official request by President Bashar Assad. Up to now, sorties were carried out exclusively by Sukhoi warplanes, including the cutting-edge Su-34 as well as the tried-and-tested Su-25 and Su-24M aircraft. The announcement of increased Russian airstrikes in Syria comes just days after the deadly Islamic State attacks in Paris on Friday and official confirmation that the crash of the Russian A321 jet over Egypt’s Sinai Peninsula in late October was caused by a terrorist bomb attack.